Cognex Corporation (NASDAQ: CGNX), the world's leader in machine vision, today introduced the new In-Sight® 7000 series, a suite of ultra-rugged, highly modular standalone vision systems. The second generation In-Sight 7000 series represents a breakthrough in performance, flexibility and ease of integration. This powerful new vision system performs fast and precise inspections that keeps pace with increasing line speeds, while its compact form factor easily fits into space-constrained production lines. The In-Sight 7000's unique, modular design offers over 400 different field-changeable configurations making it the most flexible vision system available. "This is the industry's first fully-customizable vision system," says Joerg Kuechen, Senior Vice President, Vision Products at Cognex. "The modular lighting and optics, including field-changeable autofocus, minimize the need for external lighting and allow users to configure the system to their unique requirements which also helps minimize downtime when production line requirements change." The rugged In-Sight 7000 is IP67-rated and includes Flexible Image Technology™. This complete vision system features a patent-pending LED ring light that produces even, diffused illumination across the entire image, eliminating the need for costly external lighting. A variety of light colors, optical filters and polarizers can easily be swapped in to meet specific application requirements. Plus, the wide range of field-changeable C-mount and S-mount lenses and industrial, mechanical autofocus lens options enhance versatility. 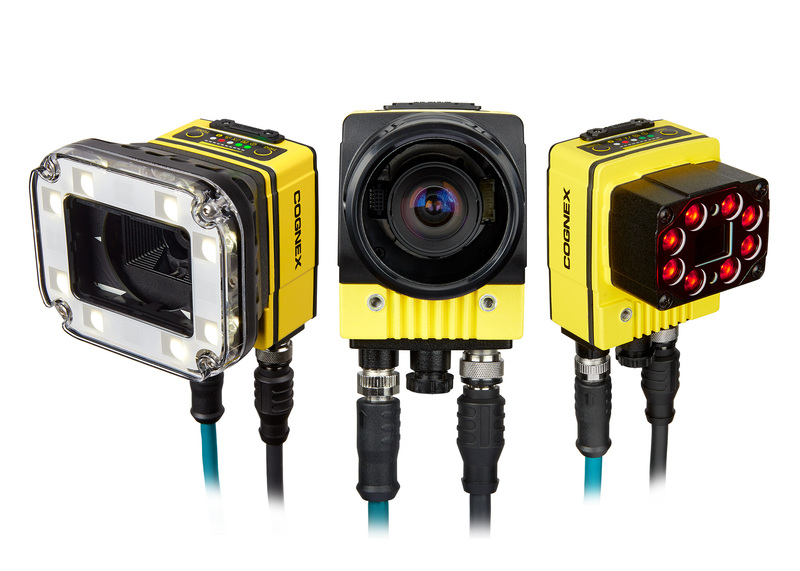 Like all Cognex In-Sight vision systems, the In-Sight 7000 uses In-Sight Explorer™ to set up and monitor machine vision inspections. This software includes the EasyBuilder® interface for easy step-by-step application setup and the In-Sight spreadsheet view for greater control. The system also includes a full set of powerful In-Sight vision tools, including PatMax RedLine™ pattern matching technology, OCRMax™ optical character recognition and SurfaceFX™ feature extraction technology. In-Sight 7000 series vision systems are available now. For more information on how this unique system can enhance performance, increase flexibility and ease integration on production lines, visit http://www.cognex.com/In-Sight-7000 or call 1-(855) 4-COGNEX.